Players were able to sign contracts beginning February 1st and the biggest announcement of the day came from the New York Liberty as they announced the signing of Shavonte Zellous to a multi-year deal. Zellous will leave the Indiana Fever after playing there for the past five seasons. Zellous was a member of the Fever’s 2012 WNBA championship team and collected several accolades while a member of the Fever. She was a WNBA All-Star in 2013 and also won the WNBA Most-Improved player award that year. New York did excellent in making this move as they will be without Epiphanny Prince for at least the first half of the season. Prince suffered an ACL injury while playing in Russia this off season. Zellous will have huge shoes to fill but if she can get her game back to her 2013 season where she averaged 14.7 ppg New York should pick up where they left off. The Liberty also re-signed restricted free agent Carolyn Swords. We will update this post as signings are announced. There will be a * next to players who change teams. January 1: WNBA Salary Cap Year begins. Qualifying Offers can be made. January 14: Deadline for Teams to make Qualifying Offers. January 15: Players may negotiate with any team or accept a Qualifying Offer. February 1: Players may enter into contracts. February 15: Deadline for Qualifying Offers to be unilaterally withdrawn (if not, must remain open through March 7 unless player consents to withdrawal). March 7: Qualifying Offers may no longer be accepted. April 3-5: NCAA Women’s Final Four. April 8-17: Local team tryouts. April 14: 2016 WNBA Draft (on ESPN). May 13: Regular Season Begins. Our last team to cover in our WNBA Free Agency outlooks are the Washington Mystics. The Mystics have made a playoff appearance three years straight although each time they have been knocked out in the first round. They finished the 2015 season in fourth place in the Eastern Conference with a record of 18-16 and faced the top seed New York Liberty in the first round of the playoffs. In what was one of the most exciting series in the 2015 playoffs the Liberty won 2-1 and sent the Mystics home. Head coach Mike Thibault has really made his mark on this franchise when he took over in 2013 after leaving the Connecticut Sun. He is the all time winningest coach in the WNBA and has brought his winners mentality to a franchise that has struggled in that department. With a promising group of players the Mystics will again be in playoff contention next season. There are only two free agents on the Mystics roster this year and they are both unrestricted. Kara Lawson and Latoya Pringle-Sanders will both be up for grabs this off season. Lawson who came to her hometown team after winning a championship with the Sacramento Monarchs and being a key player for the Connecticut Sun has battled injury since coming to Washington. This past season she missed a total of 12 games and the season before she sat out six. In what will be her 14th season in the WNBA if she decides to return, Kara Lawson brings leadership and experience. In addition, she is also a capable scorer where throughout most of her career she has averaged at least 40% shooting percentage from the three point line. I don’t see Lawson joining another franchise this offseason, if anything, she will finish her career a Washington Mystic. The Mystics will also be making a decision on Latoya Pringle. Washington has had the rights to Pringle for several years but it wasn’t until the 2015 season that she decided to join the team. She’s actually only played four seasons in the WNBA after being drafted in 2008. In her first year with the Mystics she averaged 5 points and almost 7 rebounds in 18 minutes per game. Pringle has shown herself to be one of the best forward/centers in Europe where she holds a Turkish passport. She is a great shot blocker and has good moves around the basket. She is also capable of knocking down mid range shots. If the Mystics can lock her up I think they should definitely go for it. She only competed in 23 games last season for Washington and a full season with the team could make the difference. Other teams will be after a player with her size and skill so there may be a bidding contest to sign her. The Mystics have their inside covered with Dolson and Messeman holding down the block. With nothing lost when Kia Vaughn enters the game. Natasha Cloud, who was a rookie last season, started 22 games for the Mystics. Tayler Hill who returned from giving birth to her son the previous season will have to step up this season and make her mark on this team and the league. Bria Hartley, who struggled with an injury for part of the season where she missed 9 games will return healthy and ready to compete for a spot in the starting lineup. Those players in addition to the Latta should again compete for a Eastern Conference Championship however I think Washington needs to add a piece or two that can complement what they already have on the roster. What do you think Washington needs to do to improve from last season? Do they have what it takes? Will they sign a free agent this off season? Let us know. Free agency will start next month in the WNBA and Seattle will be a team that will surely make a few moves during this off season. Whether it be resigning their key unrestricted free agents or making the decision to build up their youth, many will be watching to see what they will do. There is no debating that the Seattle Storm will draft Breanna Stewart with the first pick in the WNBA draft. She is a special player and one that should make an immediate impact for the Storm. The storm finished in fifth place in the Western Conference with a record of 10-24 bur despite their record there was a bright spot for Seattle in Jewell Loyd who was named the WNBA’s 2015 rookie of the year. Her alongside Stewart will definitely be a back court worth watching. One of the biggest free agent’s not only in Seattle but in the WNBA is Sue Bird. Sue is an unrestricted free agent this off season. Bird has spent her entire career playing for the Storm and it’s hard to imagine her suiting up for anyone other than Seattle. It would be my guess that she will finish her career with the Storm. It would be great to have a player with the credentials and experience that Bird has to help bring along the younger players. I am certain that she had a hand in the development of Loyd throughout the season. Sue can be a player-coach on the floor and and on the sidelines and keeping her in Seattle should be a priority for the team. Also unrestricted is Crystal Langhorne. Langhorne who was traded to Seattle from Washington a few years ago has shown well for the Storm. This past season she averaged almost 13 points and 7 rebounds per game. She is one of the better power forwards in the league and will definitely get attention from other teams looking to bolster their front court. My guess is that Langhorne will listen to what other teams have to offer and then make the best decision for her career. With the success of Japanese forward Ramu Tokashiki and Australian Abby Bishop it may be a good time for Langhorne to look elsewhere. We will be watching to see what happens with Crystal as she will be a huge asset to whatever team she suits up for next season. The Storm will also be making decisions on Quanitra Hollingsworth and Alysha Clark who are also unrestricted free agents. Clark has been a key piece for Seattle for several seasons and Hollingsworth has size that is not often matched. Jenna O’Hea is their only restricted free agent who I think will be back with the Storm next season if she doesn’t have National Team Commitments for the Rio Olympics this summer. Seattle may be a new looking team in 2016. Look for their to be some shake up in the roster. Jenny Boucek will be entering her second season as the head coach of the team and should definitely have a better showing this coming season. What should the Storm do in free agency? Do you think they will go young and build up their squad? What kind of impact with Stewart have for the Storm? Let us know what you think. The Phoenix Mercury finished the 2015 WNBA season with a 20-14 record which was good enough for second place in the western conference behind the Minnesota Lynx. After both Diana Taurasi and Penny Taylor opted to take the season off many didn’t know how the defending champions would fare without the services of two of their key players. In addition to being without those two, the Mercury’s starting center Brittney Griner was suspended for the first seven games of the season after being involved in a domestic violence dispute with her now estranged wife Glory Johnson. Despite their absence, Phoenix went on the play in the Western Conference finals in which they lost to the Lynx after a controversial foul call gave Minnesota two free throws to win the game and move on to the WNBA finals which they eventually won. With a bad taste in their mouth after the way the season ended the Mercury will be looking forward to getting back on the court and chasing championship number four. It is expected that Diana Taurasi will be returning to play for the Mercury for the 2016 season. With 2016 being an Olympic year it is not certain that Taylor will be back since she has national team commitments in Australia for Rio. However, with the return of Taurasi, Bonner, Dupree and Griner the Mercury will be the team to beat in the Western Conference despite the Lynx being the defending champions. The Mercury do not have any restricted free agents this off season. They have three unrestricted free agents in Mistie Bass, Shameka Christon, and Leilani Mitchell. Christon, who is a ten year WNBA veteran, alluded to retiring after the end of last season. Mitchell, who has Australian citizenship, will have commitments to the Australian National Team as she fights for a spot to head to Rio this summer. This leaves Bass, who was a member of the 2014 Mercury championship team. Mistie, who is a veteran in the league, may not have large numbers on the stat sheet but she provides a presence that is felt on and off the court. She is proven role player that has found her niche in the WNBA. She started the seven games in place of the suspended Griner where the Mercury went 3-4 during that stretch. Bass and Francis, who is another Australian vying for a spot on the national team this summer were backups in the post. The Mercury definitely need a consistent post presence that can give both Griner and Dupree rest. Im pretty sure Bass would love to make another run at a title with the Mercury this summer. We will see if the two sides will come together and extend their relationship. 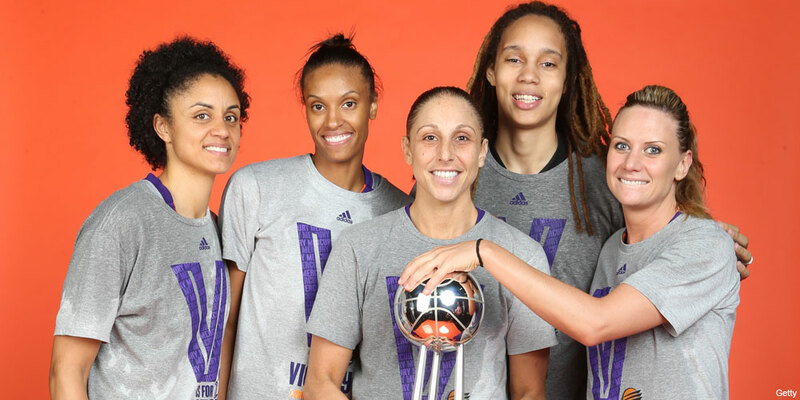 Can the Mercury win the 2016 WNBA championship? What difference will Taurasi’s return make? Any other moves you think Phoenix needs to make this off season? Chime in. The Indiana Fever were one of the best teams in the WNBA this past season. Although they finished third in the standings in the Eastern Conference regular season, they made it out of the Eastern Conference as champions and faced the number one seed out of the West, the Minnesota Lynx in the WNBA finals. In Stephanie White’s inaugural season she led the Fever to a 20-14 record and an appearance in the WNBA finals where they took the series to five games and were on the brink of bringing home the championship trophy. Disappointed to have lost in the finals the Fever are looking forward to getting back on the court next season and fighting for another chance at a second championship for the franchise.